Diane's gorgeous floral card is the perfect way to welcome spring! We love the white heat embossed lines and the beautiful colors added to the flowers and leaves that nicely complement the plaid patterned paper on her card base. 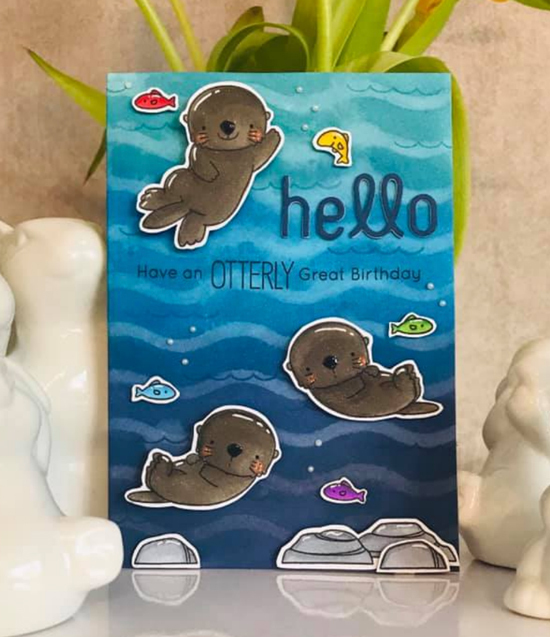 Laura created a fantastic underwater scene with a trio of adorable otters sending birthday wishes. The detail she added to the background adds great texture and depth and gives the water a realistic look. 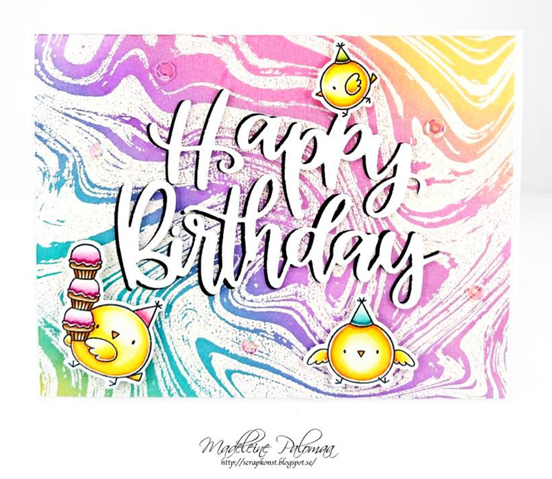 Birthday's are the best occasion for a lot of color and sweet birthday chicks and Madeleine has captured all of those things are this colorful birthday design. Using white heat embossing for the background lets her showcase the beautiful marble pattern while still being able to add in a lot of vibrant colors. Monika featured the Fresh-Cut Flowers stamp on her design as well, creating a softly colored arrangement of flowers. Using kraft card stock for her background adds an earthy feel to her design and really highlights the gorgeous colors she used. 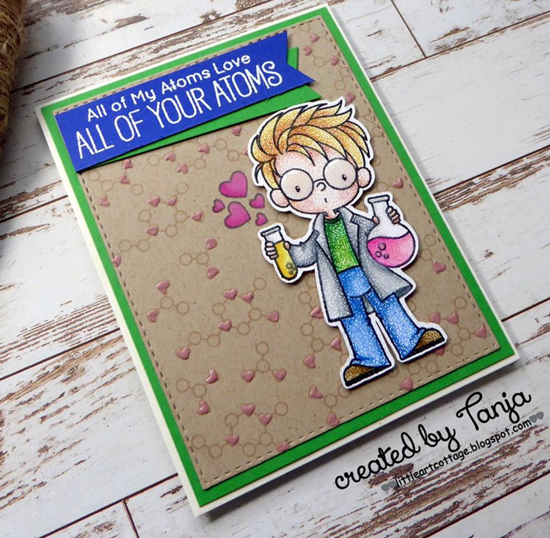 Tanja featured one of the Cute Chemists on her card with a fun stamped background that coordinates perfectly with her scene. We love the stippling effect she added to the coloring on her stamped image - it adds unique texture and dimension to her character. Thank you so much for choosing my card!!! 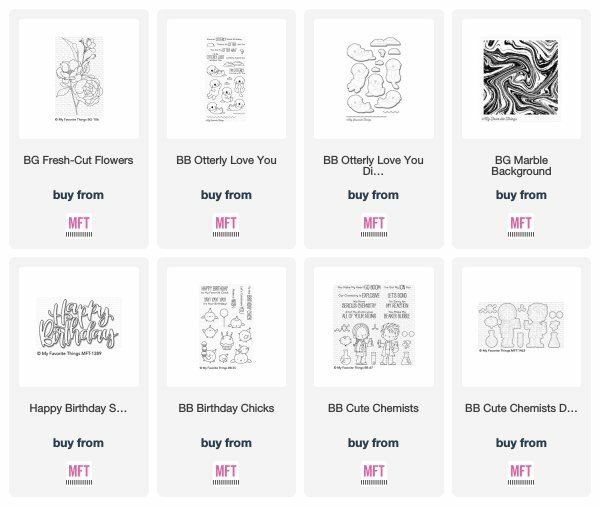 Congratulations to the other spotlighted card makers!! !